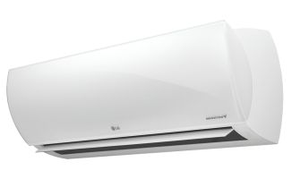 The Art Cool™ Premier Wall-Mount Split System is among the industry’s best air- conditioning units. Choosing this product provides a system designer an edge with individual advanced control and design flexibility. Art Cool™ Premier systems are available in nominal capacities of 3/4 and 1 ton. These are best suited for applications with zones that require heating or cooling, such as residential and small business office buildings.